'Best Management Manual' well received. 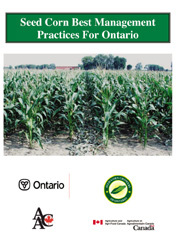 common problems encountered by Ontario seed corn producers. assist with the production of the manual. for the Ontario Ministry of Agriculture, Food and Rural Affairs at Ridgetown.